The Honda Fit has been a favorite with those who love to adventure, who are unique, and who let their car be a reflection of themselves. 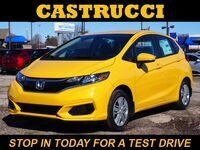 The new 2017 Honda Fit in Dayton, OH is rolling into our dealership with head-turning curb appeal, and enough color to excite the enthusiast in you. 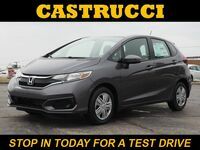 This Honda opens up tons of possibilities for its driver with its impressive versatility, and its flexibility allows the Fit to perform for any task. 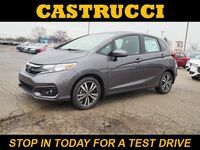 The 2017 Honda Fit has a customizable interior, an efficient powertrain, and agreeable pricing, making it an easy recommendation. You can drive smarter with the 2017 Honda Fit's innovative technology and forward thinking design. 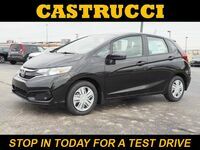 The 2017 Honda Fit is four-wheeled style and function. The body creates an aerodynamic profile that benefits fuel efficiency. The interior space is designed to maximize the size and utility of the space. This Fit is connected and refined with advances in technology and user friendly gadgets. The 2017 Honda Fit is one versatile vehicle. Its firm ride makes it seriously fun to drive, while its light steering makes it a great pick for in-town driving. Plus, the multi-configurable interior offers more cargo room than the exterior body implies. That coupled with the 130-hp 1.5-liter engine in a six-speed manual or an automatic CVT, the 2017 Honda Fit is as fun as it looks. Everything has a place in the new 2017 Honda Fit. With a clever design, this new Honda puts connectivity and control at your fingertips. Steering wheel mounted controls keep your hands on the wheel, and a center console with USB and power outlets allow you to connect your mobile devices. The 2017 Honda Fit comes with 2nd-row Magic Seats®. The 60/40 Split 2-nd Row Magic Seat® has four clever configurations, allowing you to haul passengers and cargo with ease. With the new Fit being able to seat five, it will meet all of your road trip needs. Peace of mind is included in the 2017 Honda Fit. Active safety technologies and other advanced safety features help keep you on the road and feeling more secure. The 2017 Honda Fit has an ACE™ body structure, daytime running lights, and Vehicle Stability Assist™ (VSA®). 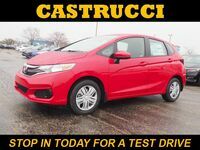 The 2017 Honda Fit already sounds pretty impressive, but in addition to the features above, the 2017 Honda Fit is so much more. It comes with an efficiency coach. The green Eco Assist™ shows up on your dashboard so you can see how efficiently you’re driving. If the display gets greener, you’re driving cleaner. Plus, you can see real-time mpg and other alerts in the Multi-Information Display. 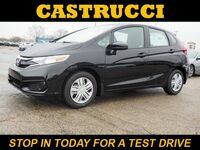 Also, the 2017 Honda Fit can be outfitted to your specifications. Available features, such as navigation, Push Button Start, Honda LaneWatch™, connected audio, and Smart Entry make you even more connected. And, Bluetooth® Streaming Audio is on all Fit models! So you can listen to your tunes easily and safely. 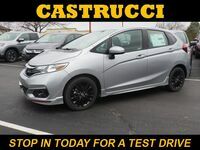 Keep an eye out for the 2017 Honda Fit in our inventory at Matt Castrucci Honda. Want to learn more about the 2017 Honda Fit? We’re happy to help. Contact us online, call (855)-250-8986, or stop by and say hello! 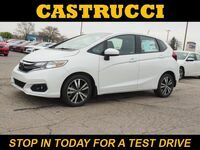 Test drive a new Honda today! 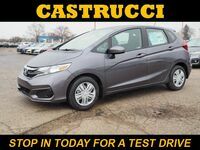 Interested in a 2017 Honda Fit?